Have not had a chance to use product yet. But should be able to handle anything we throw at it. Great for metal working and with copper inserts, doesn't damage softer metals. How much does this vise weight? WMH Tool Group, Inc., warrants every product it sells. If one of our tools needs service or repair, one of our Authorized Service Centers located throughout the United States can give you quick service. In most cases, any of these WMH Tool Group Authorized Service Centers can authorize warranty repair, assist you in obtaining parts, or perform routine maintenance and major repair on your WILTON® tools. For the name of an Authorized Service Center in your area call 1-800-274-6848. 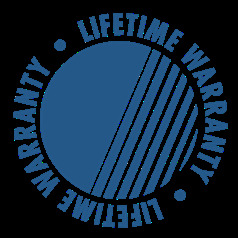 The general WILTON® warranty lasts for the time period specified in the product literature of each product. This warranty does not cover defects due directly or indirectly to misuse, abuse, negligence or accidents, normal wear-and-tear, improper repair or alterations, or lack of maintenance.